But then she finds a box of mysterious medallions in the attic of her home–medallions that belonged to her father. Her father who may have gone to Wellsworth. 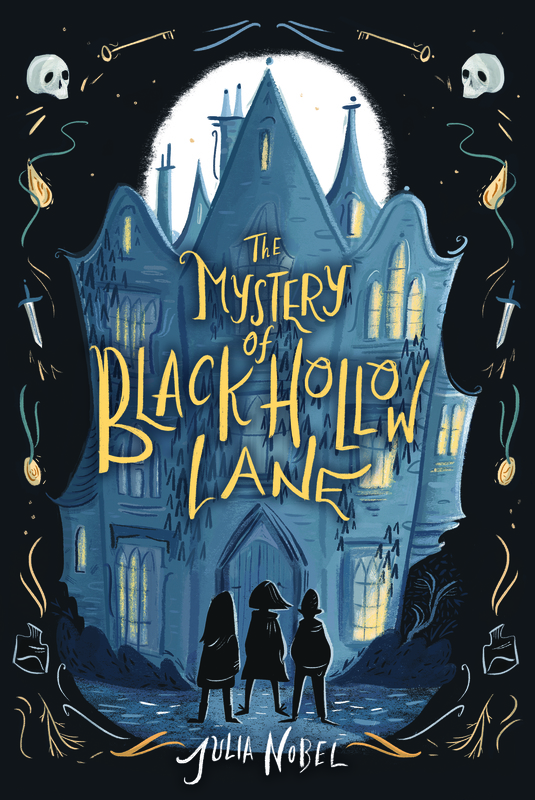 When she arrives at school, she finds the strange symbols from the medallions etched into walls and books, which leads Emmy and her new friends, Jack and Lola, to Wellsworth’s secret society: The Order of Black Hollow Lane. Emmy can’t help but think that the society had something to do with her dad’s disappearance, and that there may be more than just dark secrets in the halls of Wellsworth.